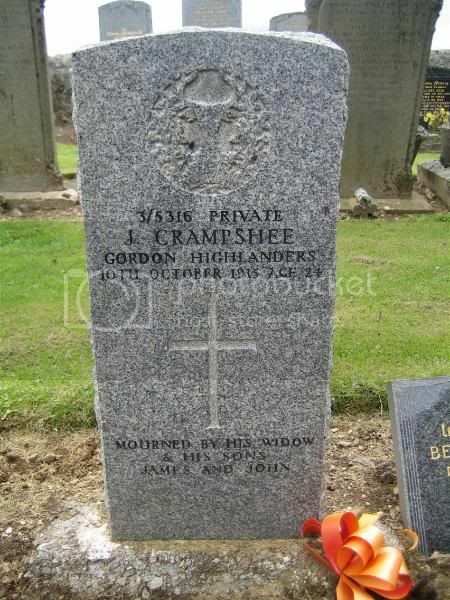 Additional information: Husband of Bella Crampshee, of Dykeside, Cabrach. Grave/Memorial Reference: 9. West of Church. Incidentally, J Crampshee is not listed. James Crampshee is listed. 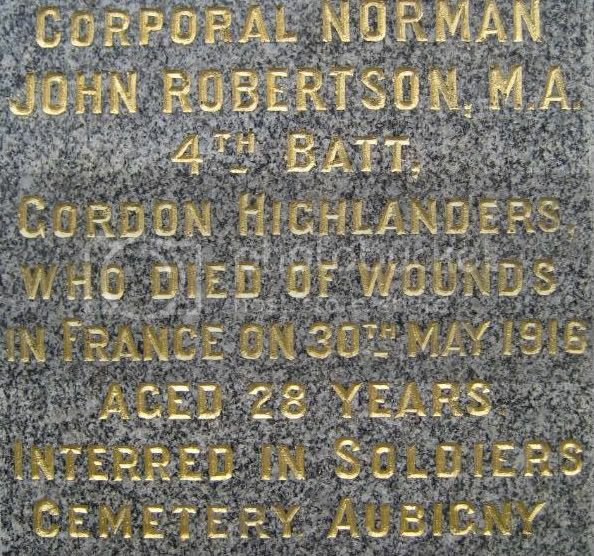 His name appears on the Upper Cabrach Memorial. You need to be aware there have been in the past two areas in the Cabrach from religous and political directions. At one time part of the Cabrach was in Banffshire, the remainder in Aberdeenshire. 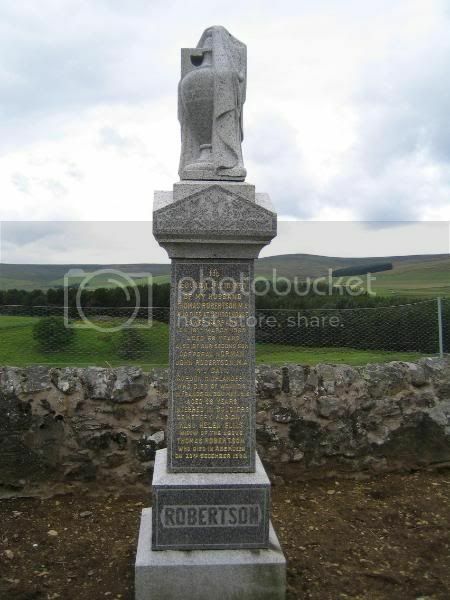 If you check the website link to the memorials page you will see them still, Upper and Lower Cabrach. There is only one kirkyard. I'll try to get over there when the weather gets better! 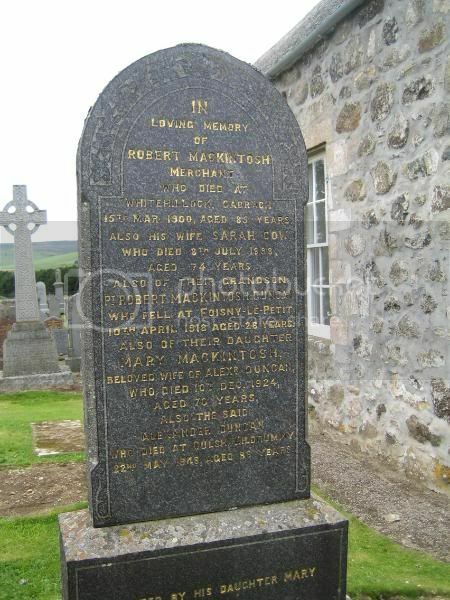 Additional information: Son of Alexander and Mary Duncan, of Whitehillock, Cabrach, Huntly, Aberdeenshire. Note: Different dates of death. Unit Text: "B" Coy. 4th Bn. 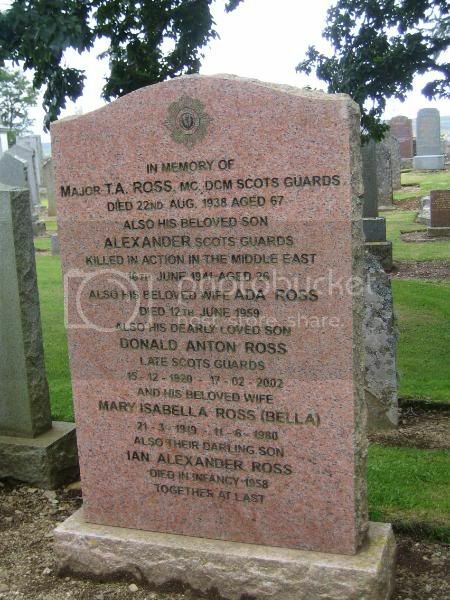 Additional information: Son of Helen Robertson, of 51, Elmfield Avenue, Aberdeen, and the late Thomas Robertson, M.A. Graduate of Aberdeen University. Grave/Memorial Reference: I. C. 47. 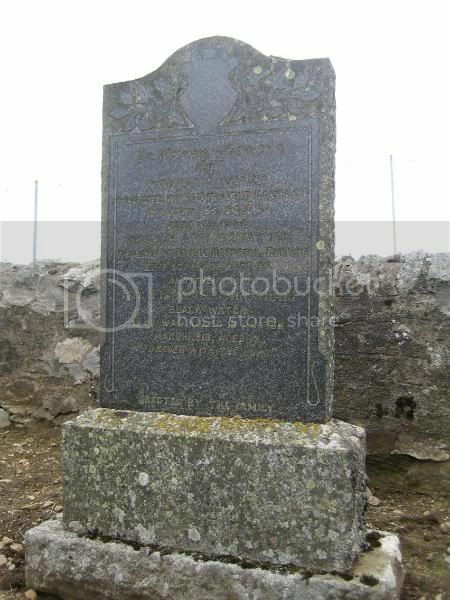 Additional information: Son of Thomas Alexander Ross and Ada Ross, of Lower Cabrach, Aberdeenshire. Grave/Memorial Reference: 15. H. 2. Note: The Christian name is different; however, I think that this is one of the Ross family. I suspect that both father and son were Thomas Alexander - Dad was Thomas; son was Alexander - at least at home. Unit Text: 61 Field Regt. 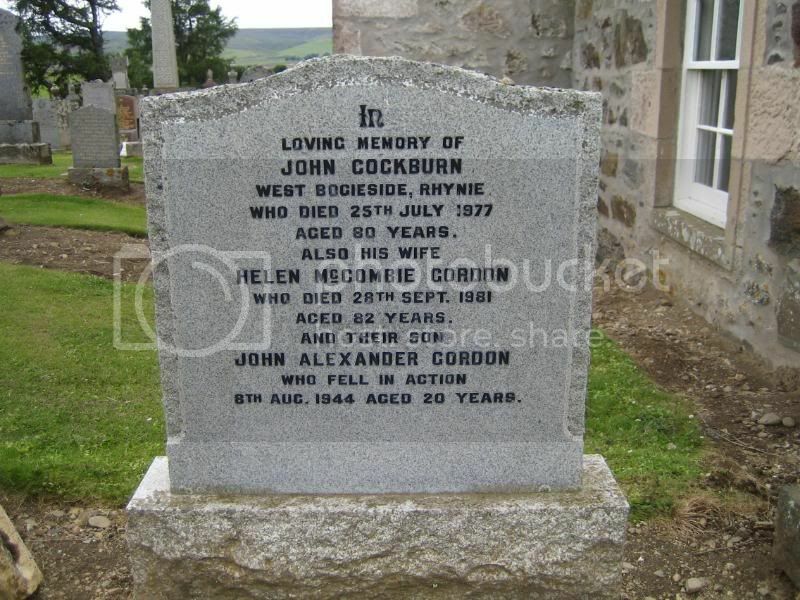 Additional information: Son of John and Helen McCombie Cockburn, of Rhynie, Aberdeenshire. Grave/Memorial Reference: XXII. E. 11.